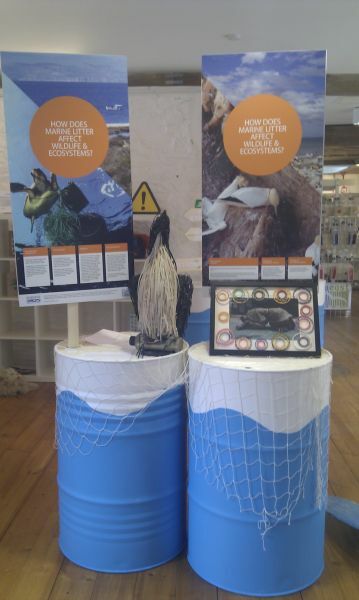 MARLISCO UK and Plymouth University ran an interactive exhibition about marine litter at several locations around the UK from 2013-2015, take a look at some of the photos below! 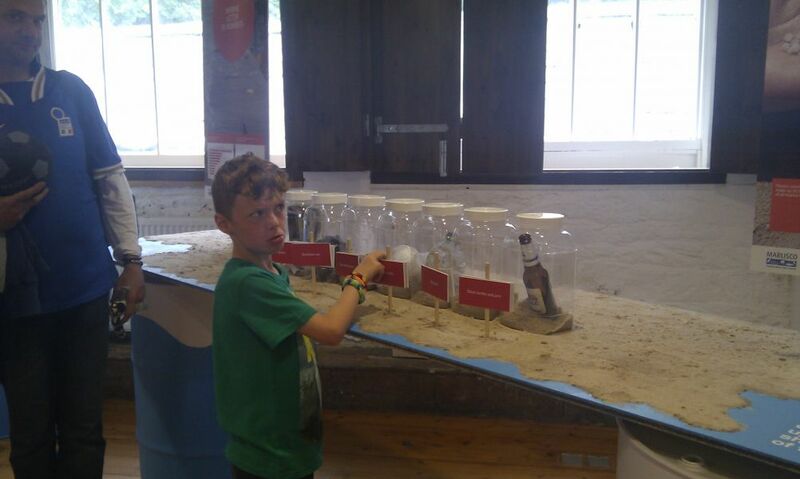 An attention grabbing, thought provoking, interactive exhibition and activities on the theme of marine litter. ‘My Sea, Your Sea. 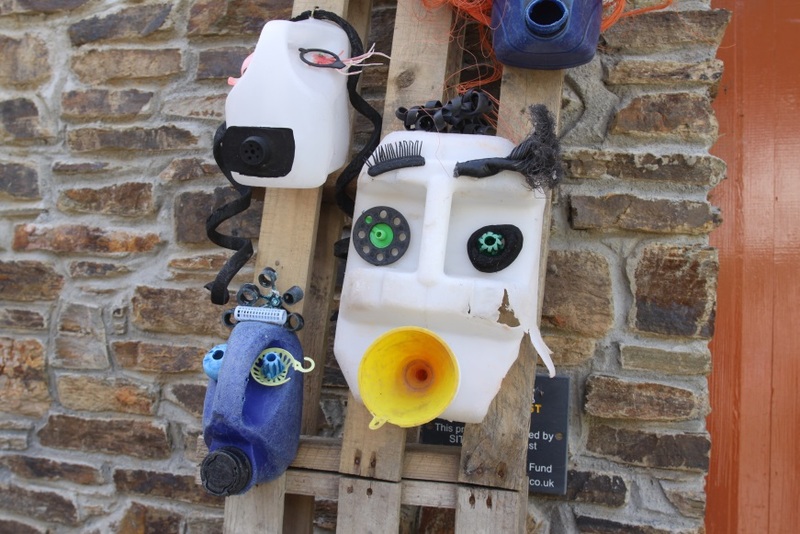 Keep it Litter Free’ combines information about the sources of marine litter, the problems it causes and what we can all do to reduce the problem with visually striking art installations in a fun and intriguing way that will appeal to all ages. - ‘TruCost Super M-Art’ - an installation from Brighton artists Lou McCurdy and Chloe Hanks, consisting entirely of thousands of consumer products washed up on South West shores, including plastic drinks bottles, lighters, flip-flops, shampoo bottles, cleaning products, cutlery and toys. 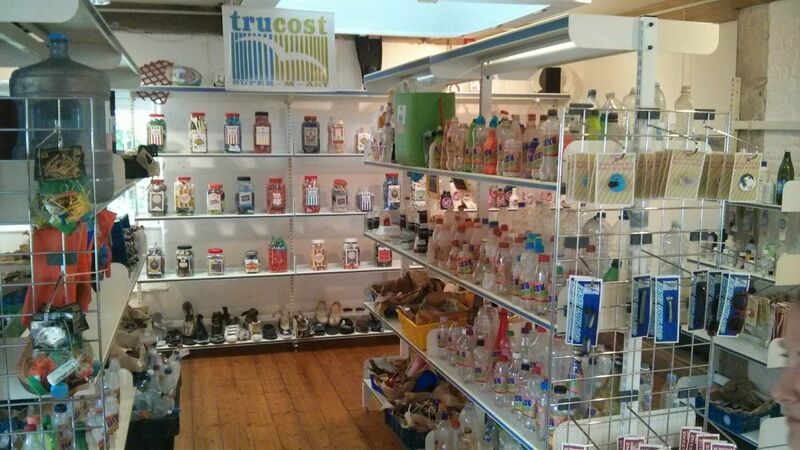 All the ‘products’ in the supermarket were collected by local beach cleaning groups in the weeks leading up to the exhibition. 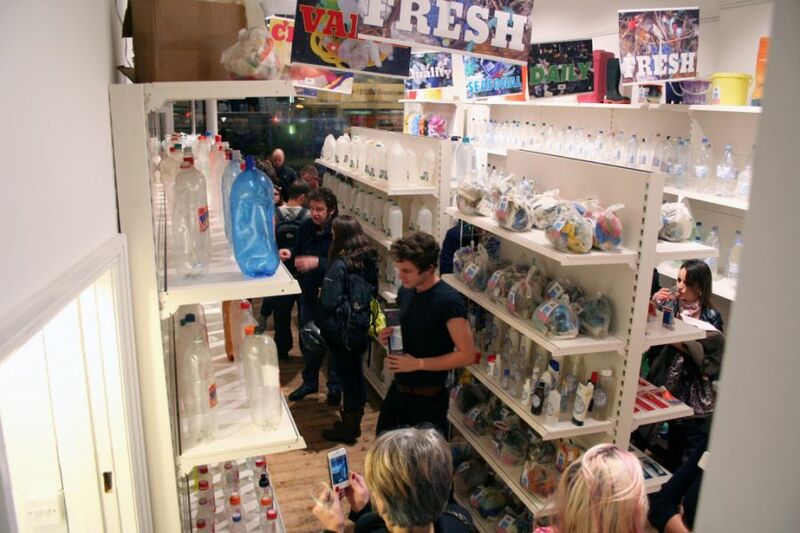 The Dirty Beach artists said: “TruCost Super M-art will subvert the universally mundane shopping experience, raise awareness of plastic pollution in the marine environment and inspire visitors to use plastic in more sustainable ways”. 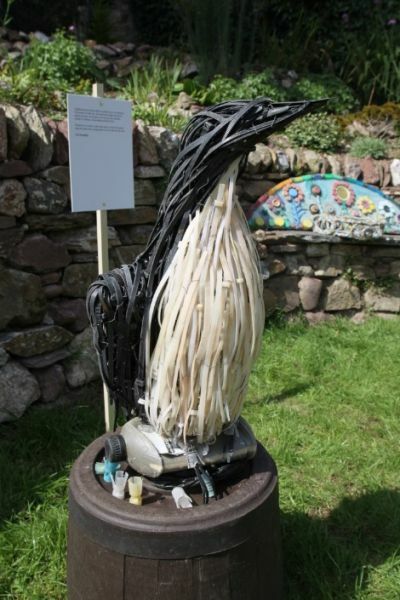 - Various pieces of marine litter artwork from artists involved with Rame Peninsula Beach Care Group - Volunteers from local beach cleaning group Rame Peninsula Beach Care have collected almost 300 sacks of rubbish – nearly all of it plastic – from local beaches over the past six months. Instead of sending this junk off to take up space in a landfill site for hundreds of years, they have turned some of it into art to help highlight what is happening to the sea. The message of all the pieces is the same: we have to stop treating the sea like a garbage dump. 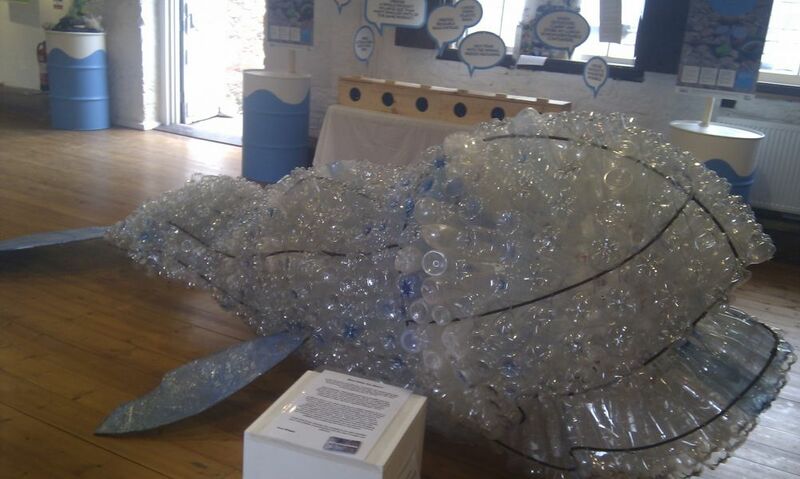 - Plymouth University art graduate, Paul Wright’s final university piece - A whale sculpture made from plastic bottles representing a sperm whale that died in France due to plastic ingestion. 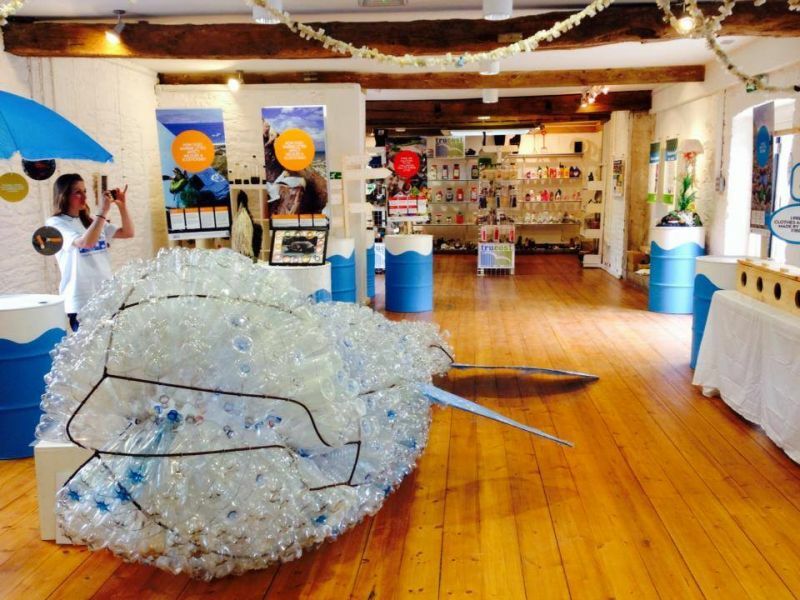 Here are some photos of the marine litter exhibition when it washed up at at it's first venue - Mount Edgcumbe House, Cornwall. The marine litter exhibition then washed up at at it's second venue - Living Coasts Zoo and Aquarium, Torquay, Devon, photos to come!! !